Author: Dalton, John Set In . . . 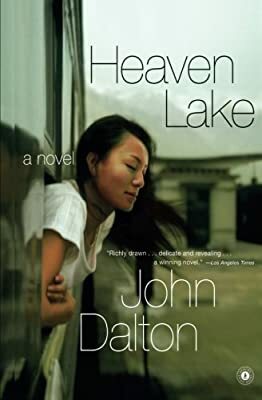 Description: When Vincent Saunders -- fresh out of college in the States -- arrives in Taiwan as a Christian volunteer and English teacher, he meets a wealthy Taiwanese businessman who wishes to marry a young woman living in China near Heaven Lake but is thwarted by political conflict. Mr. Gwa wonders: In exchange for money, will Vincent travel to China, take part in a counterfeit marriage, and bring the woman back to Taiwan for Gwa to marry legitimately? Believing that marriage is a sacrament, Vincent says no. Soon, though, everything Vincent understands about himself and his vocation in Taiwan changes. A complicated friendship with one of the high-school girls he teaches sends him on a path toward spiritual reckoning. It also causes him to reconsider Gwa's extraordinary proposition. What follows is not just an exhilarating -- sometimes harrowing -- journey to a remote city in China, but an exploration of love, loneliness, and the nature of faith.